My 04 SVT has a set of Mach Audio HID's that were originally on my old ZX-3, and they have gotten rather nasty looking so I have decided to restore them, and here is how I did it. I just got done with the drivers light and I was so impressed I figured I'd post this before I started on the passanger light. Last edited by dubalicious; 09-10-2006 at 02:03 PM. Wow! Looks great! 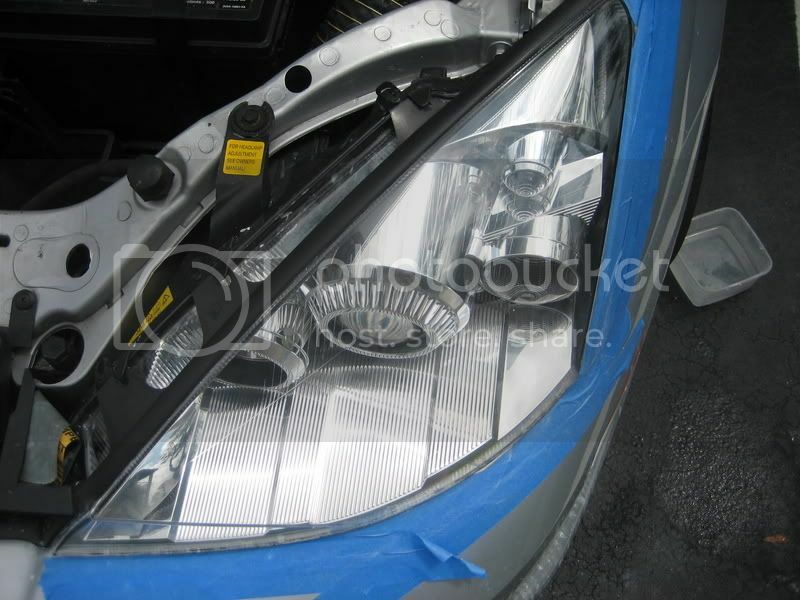 Thanks for the write up, I may do this my my stock SVT lights before I sell them... make them a little more marketable! 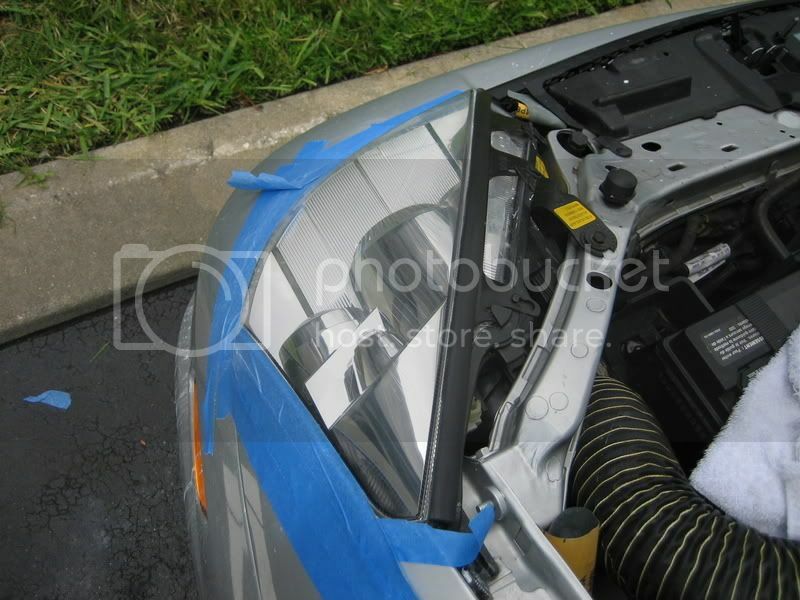 Excellent, you can also use a polishing paint compound, I usually just start with the 1500.
it IS plastic polish. 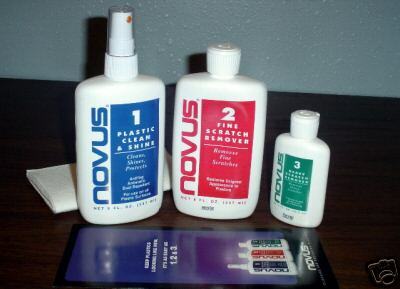 i use it for all sorts of stuff from cleaning up arcade controls to polishing my old rotary desk phone. probably fantastic on headlights too. three levels of polish and it does take alot of elbow grease. Thanks guys! I am really happy how both lights turned out, other than a few deep chips that I couldn't sand out they look very good, and for a while it just looked like I just had hyper-whites instead of HID's and now I can see the HID's in their blinding glory again! I am sure their are other ways to do this other than how I did it, but I didn't see any other write ups so I posted how I did it. Next step is to put on some Lamin-X next week and do my fogs. Scrammer, what do you mean dust inside the lenses? Mine looked pretty clean to me, but I suppose you could just remove the bulbs and just blow some compressed air inside them to get most of it out. 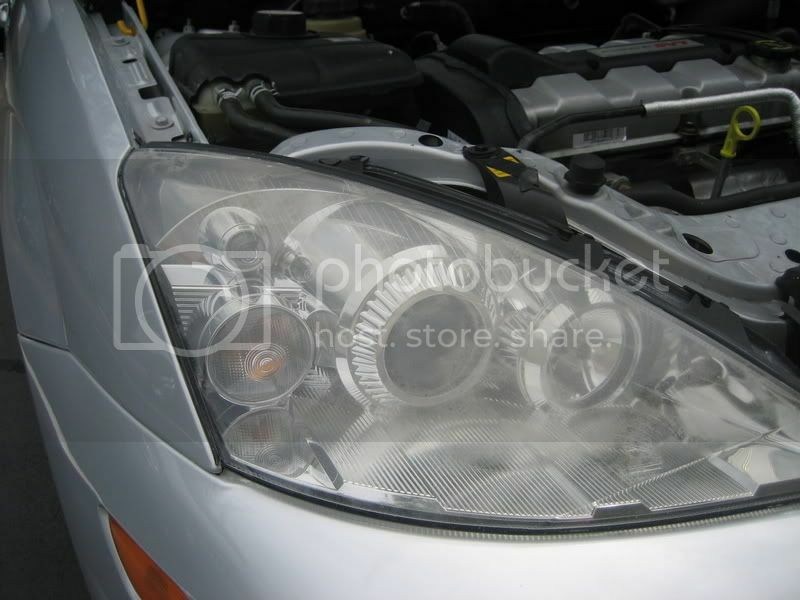 I'm going to give this a shot at least on my passenger side light...I got my Mach HIDs used for $500 because the passenger side lamp has some heavy scratches on the side (as if the previous owner had a run in with a pole or another car.) I'll probably need to start with a rough sandpaper...800 grit or so on the bad part at least and work my way up from there. BTW, when you wet sand them do you just use water, or something else? To take the lamp completely apart is a pretty complicated and risky procedure...from my understanding, you need to "bake" the housings in an oven at 200 degrees to get the plastic soft, and the use a knife and a heat gun and cut the clear lens off from the rest of the lamp, to be epoxied back on later. Its usually done to paint the chrome parts of the headlight black...if these headlights weren't so expensive to replace I'd do it to mine. I just used water, and if you are going to be using rougher sand paper I suggest you take the lights off your car. I considered just replacing the cover rather than taking sand paper to them (for a few weeks the idea scared the daylights out of me, after all these are expensive lights), and it would of been my back up plan if I messed them up too badly when sanding them.